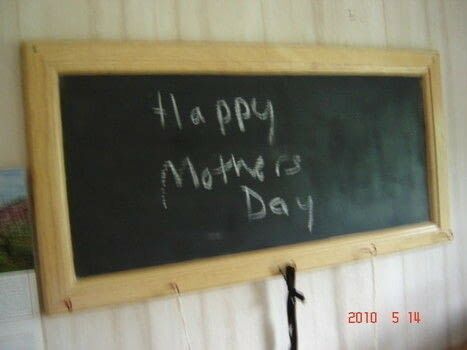 I made my Mom some message board stuff for Mother's day, and this was one of the things that I made for her. I found the cabinet door at a garage sale for a dollar KNOWING that sooner or later I would find something to do with it (of course!). The list of supplies is big, but most of the stuff I already had in my craft stash. Here's the back of the door-it already had a picture hook on it! There were holes in the front, so I filled them in with putty and sanded them smooth. 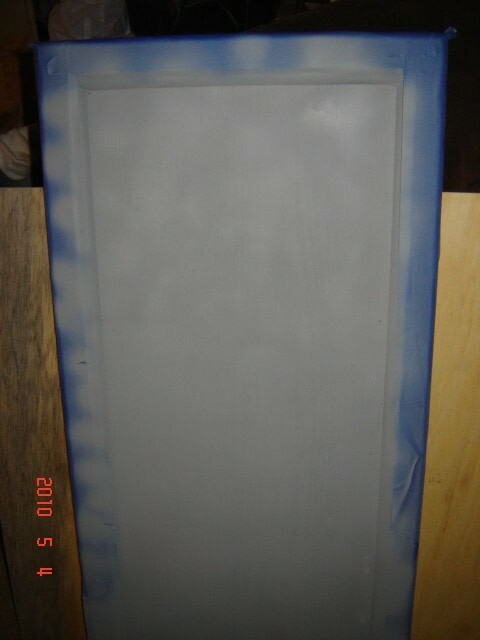 I taped around the "frame" of the front with painters tape so the board would have the nice wood on the outside, then primed it with spray primer. 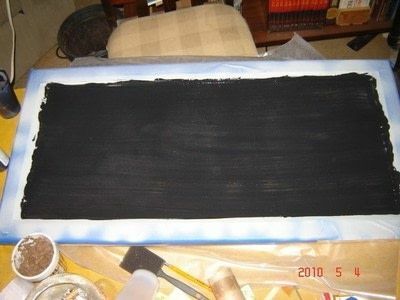 I painted with the chalkboard paint, sanded it a little, then painted on another coat. After it all dries, you will need to "prime" the board by running chalk all over the board with the side of the chalk and then wiping it off. It was still a little bumpy, but works great. This is the chalkboard paint that I used-I found it at Wal-Mart in the craft section. I screwed five cup hooks spaced equally along the bottom of the board to hang the eraser, bag of extra chalk, and the chalk to write with. This is the eraser that I made. 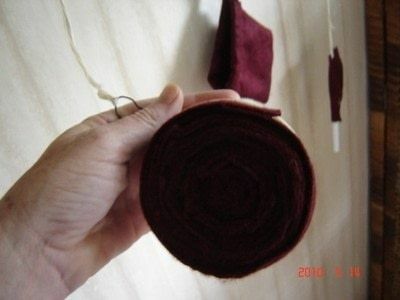 I had the round piece of wood and the felt already. I cut a long piece of felt about 2 1/2 inches wide, folded it in half and started to wind it into a circle, sewing it together as I went. Then I hot glued it to the wood. 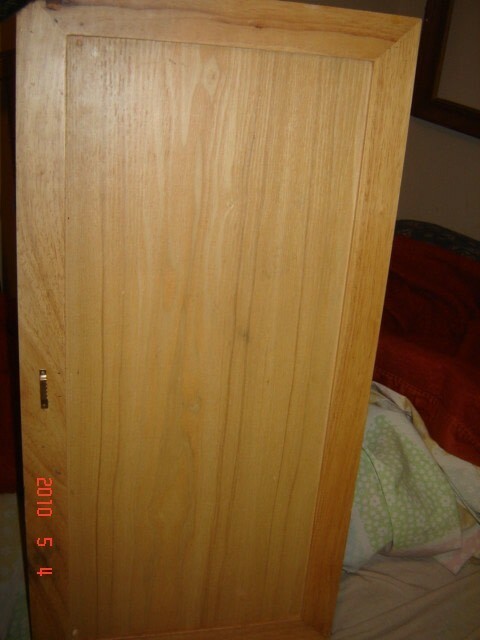 I also drilled a hole (with a hand drill) into the side and put a piece of string through it to hang from the board. Here's the front of the eraser. 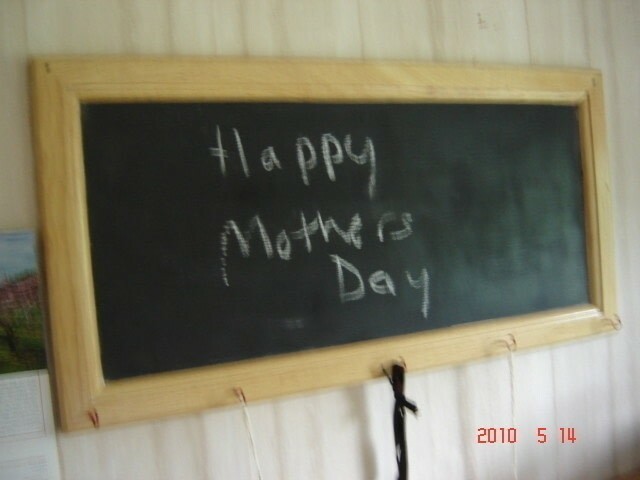 In the background, you see a little drawstring bag that I made from the felt to hold extra chalk. 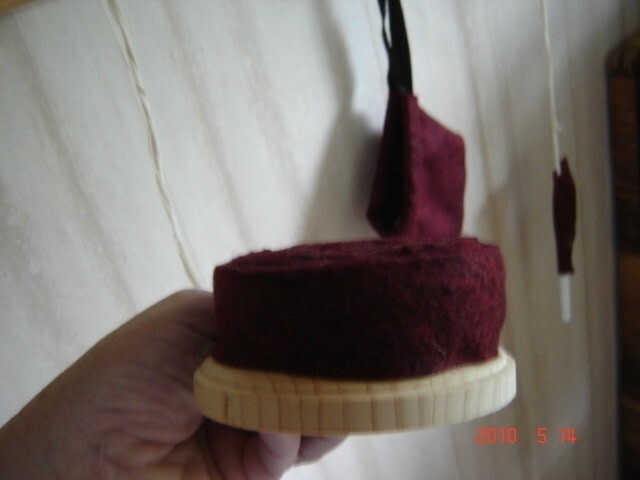 It also has the string for the drawstring and to hold it onto the cuphooks that I screwed into the bottom of the frame. I suppose I could have bought a chalk holder, but I did not want to pay alot for it, and I supoose that I could have just put a soap holder on the board to hold the chalk (now THAT'S an idea....), but I wanted to keep with the felt flavor, so this is what I did. I cut a piece of the felt a little over twice the length of the chalk. 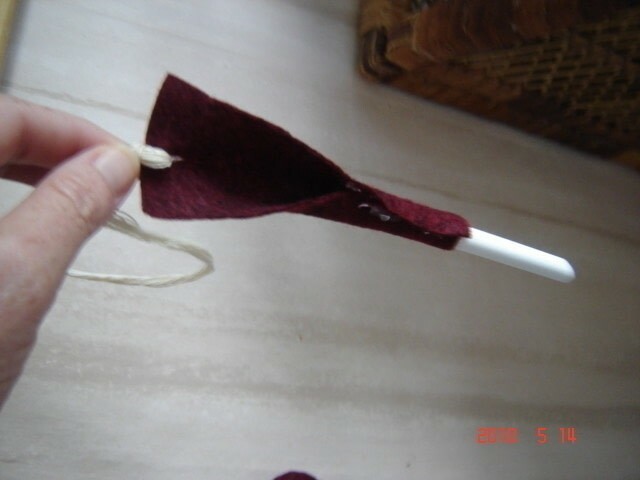 On one end, I strung the string as a hanger, and hot glued the other end over the chalk. It holds the chalk well, and the chalk just slips right into it without falling out. So here it is! 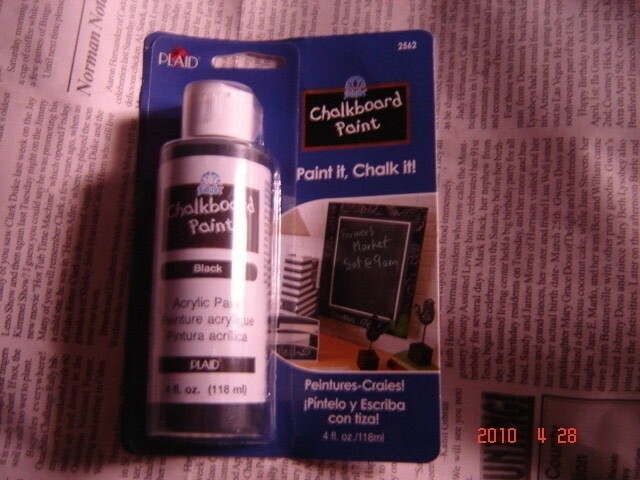 I basically only needed to buy the chalkboard paint and the chalk after I got the board, as I had all of the rest of the supplies on hand. Sorry about the fuzzy picture, but you can see that it does work, and Mom loves it. If you have any questions, please ask and I will help if I can.